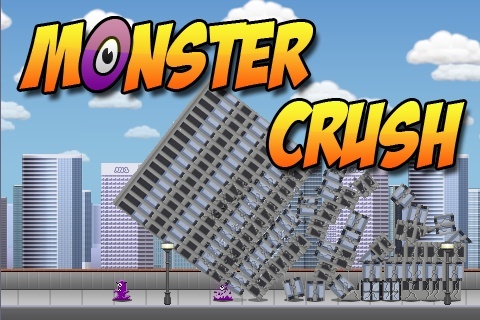 Monster Crush is a physics based puzzle game where you are placed in the role of a controlled demolition expert that has to stop an alien invasion by crushing the monsters with skyscrapers. I did all progamming using mostly C++ and some Objective-C. It uses OpenGL for its graphics, OpenAL for audio. For the simulation of buildings it uses a modified version of Box2D with a custom joint described here which was hand optimized in ARM assembly to get the game to run at 30 fps on a 1st generation iPhone. Click here to visit the official site. Download the game from here.